There are known to be over 30 species of Eyebright in Britain alone, and a considerable amount of expertise is required to separate one from another. The two photographs shown here reveal some of the differences found in the plants - the top one having rather more reddish-tinted stems and leaves than the lower one. 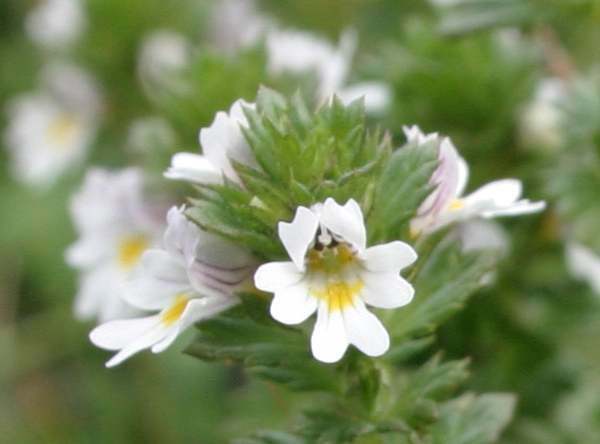 The plants are short, hairy and often hide in the grass so that they are barely visible; they are found beside lowland streams and up on heath, mountainsides and coastal clifftops. 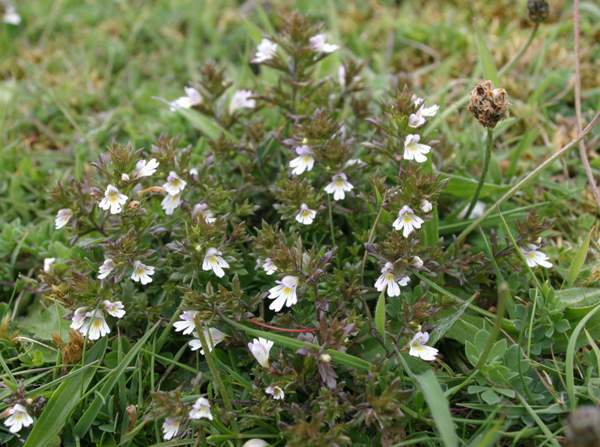 The attractive little flowers first appear in June, and Eyebright continues flowering into October. The specimens shown on this page were found in West Wales in July.